Vinyl Table Covers with 3 inch Lace Edge,This Table Cover is made of no wrinkle wipeable PVC fabric, no iron, spill-proof, stain resistant, waterproof and easy clean. ◆ PVC (Polyvinyl chloride) is a kind of environmental-friendly material which can better match your low-carbon lifestyle. ◆ Stain & Water resistant, machine washable Smooth surface and suitable for any table setting whether casual or formal. 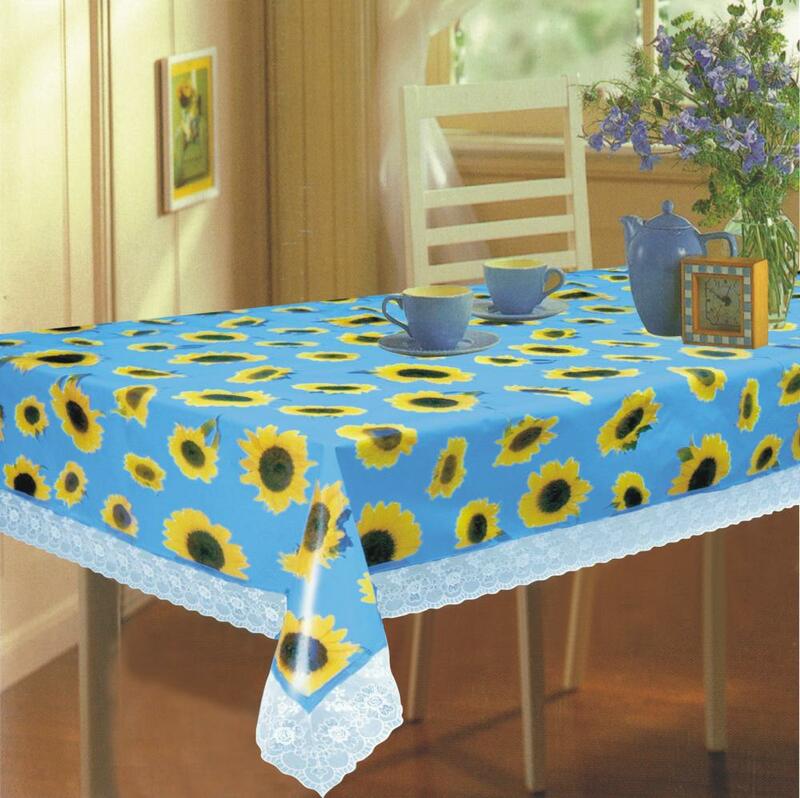 This durable tablecloth is water & wrinkle resistant. Looking for ideal Vinyl Table Covers 140 X 180cm Manufacturer & supplier ? We have a wide selection at great prices to help you get creative. All the Vinyl Table Covers 140 X 200cm are quality guaranteed. We are China Origin Factory of Vinyl Table Covers140 X 240cm. If you have any question, please feel free to contact us.